Born in an ordinary family to ordinary parents, Shi Yuzhu was crazy, bold and passionate from his very childhood years. He has knowledge and understanding of a diverse range of fields, thanks to his love for reading books. Today, he is one of the richest individuals in China, and a king in the field of online gaming with his company, Giant Interactive Group. 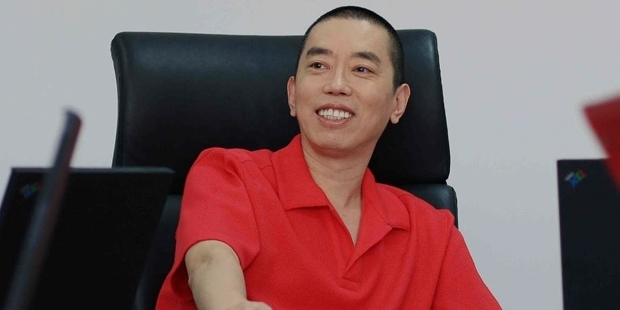 Although he was highly in debts at the beginning of his career, he has a net worth of around $3.5 billion today, and is ranked among some of the most successful entrepreneurs in China. When we think of the most famed businessmen in Anhui, one of the first names would be Shi Yuzhu. Born in 1962, he belonged to an ordinary family, and his father served as a police officer in the Huaiyuan County Public Security Bureau. He spent his childhood in this 2300 sq km of area, and as a child, he loved reading comics, and was an active thinker. Reading comics, Shi got great understanding of China’s culture and history. At the age of 10, he read something about the manufacturing of explosives, and decided to make one himself. After several tests, he produced explosives, the power which he used later in his business. His love for books has given him immense knowledge and understanding in diverse fields. He is bold and eccentric, and is known to take risks at different points of his life and business. After receiving a degree in mathematics from the Zhejiang University, Yuzhu finished post-graduation in software engineering from Shenzhen University. Shi Yuzhu started his career in the software industry by establishing Zhuhai Giant Hi-Tech Group in the year 1991. But his hurried quest for rapid growth and unattainable goals put the company in heavy debts, and it eventually collapsed in 1997. Undeterred, he regrouped his business, and tried hands in online gaming and health sector. He founded Giant Interactive in 2001, with which he focused exclusively on multiplayer online games. These games were played via networked servers, and enabled users to play while connecting and interacting with each other. 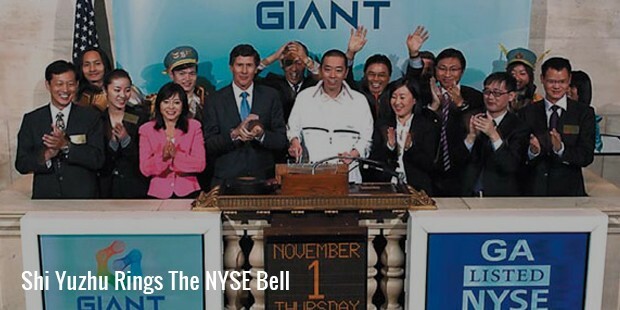 The company was listed in the NYSE in the year 2007. 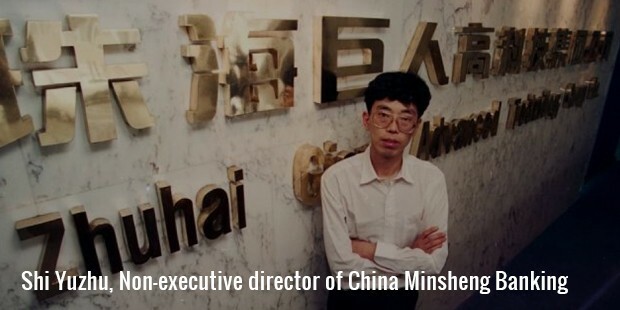 Yuzhu is the director of Minsheng Bank at present, and has a lucrative stake in it. He also has shares in the Huaxia Bank, Beijing, and has also diversified in the rice wine market of China. Sina Weibo is a micro-blogging service over the Internet like Twitter, where Shi Yuzhu has more than 6.5 million followers. He also regularly appears on the Forbes’ lists of richest people. 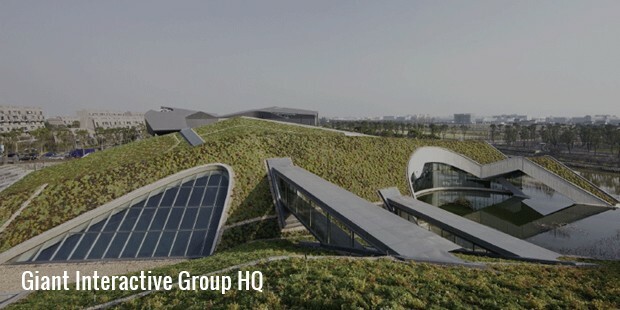 Yuzhu currently serves as the president and founder of Giant Interactive, one of the biggest online game operators and developers in China. His stake value in Minsheng Bank reached a 5 year high recently, with which he has become one of the most successful investors in the country.